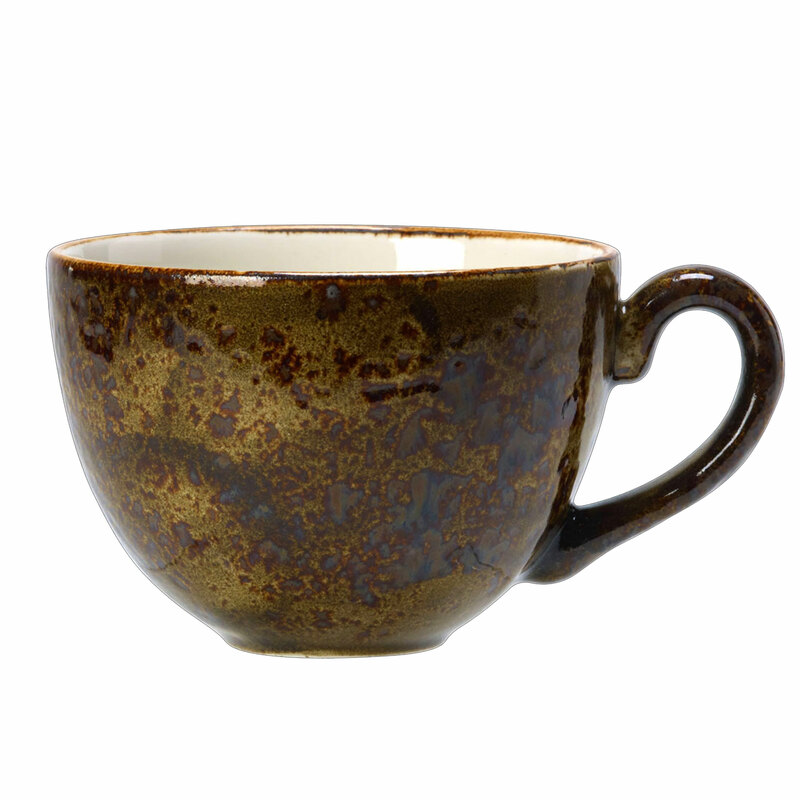 With a unique hand applied glaze, these Brown Steelite Craft Low Cups is perfect for bringing a rustic touch to your freshly brewed coffee or tea. Made with a solid alumina vitrified clay body and protected by Steelite's Lifetime Edge-Chip Warranty for extra strength. These durable coffee cups are designed with fast-paced commercial environments in mind. Featuring a stain resistance glaze and secure handle adhesion, these rustic mugs offer excellent strength and longevity.